The concept presented is an easy and quick way to document what is going on in your life. With this year quickly ending and a new one beginning I already have a few goals in sight. The thing is, I feel like if I start all these new goals all at once, I just get overwhelmed. But I figured out the secret... take it in step. What's the saying? 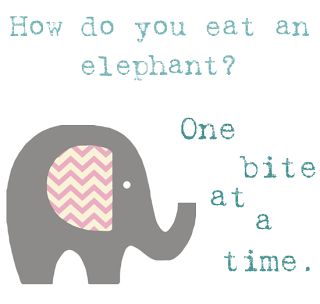 "how do you eat an elephant?" This next year we have some big things coming up. Well, one big thing coming up. HOUSING! We need to decide really soon if we are going to build or buy a house. I actually do not like that I feel like I am being pressured to make a choice I am not ready to make. I don't mind renting a little longer but I a) don't want to move again in a year and b) hate the thought of "throwing money away"
I will post my yearly goals after Thanksgiving. One of the things I am going to do is use my time more wisley. I am sure, like you, there is never enough time in the day. There were some good tips I took from here. Its a short and worthwhile read. 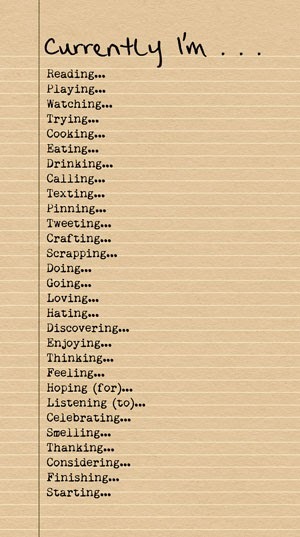 Especially setting aside time each day to be tech free. This was also addressed in General Conference this pat month.